Can anyone offer any information or account of the Ashley Church, on the corner of Hatfield Road and Ashley Road? Formed in 1939, a permanent building opened in 1954. Between times the group met in a former laundry outhouse at the end of the garden of 312 Hatfield Road. The new church was constructed on part of a triangle of land at the road junction. Missionary Gladys Aylward is reputed to have made a visit at some time in the 1950s. 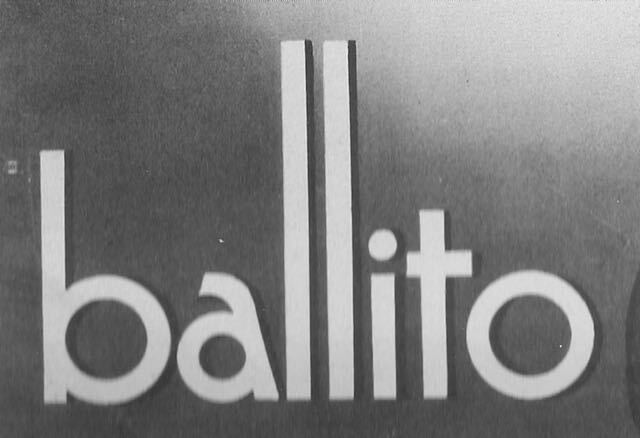 The Ballito Hosiery Mills factory was proud of its advertising and presence in the commercial market place. Pre-WW2 material was often in art deco style; especially it name – it was in blue neon on the factory wall, and on every product and poster. This is rather a technical question, but does anyone know the name of the typeface (shown above)? That is, unless the name was especially designed for the company. We are looking for photographs of Smallford, especially the market gardening industry. Two places are of special interest: Notcutts when it was the premises of Sear & Carter, and Wellfield Nurseries. If you have recollections of working at either of these nurseries (or Chester or Nielson) we would be delighted to hear from you. Does any former pupil of Sandfield School recall making use of a playing field at the old Wellfield Nurseries in Smallford. 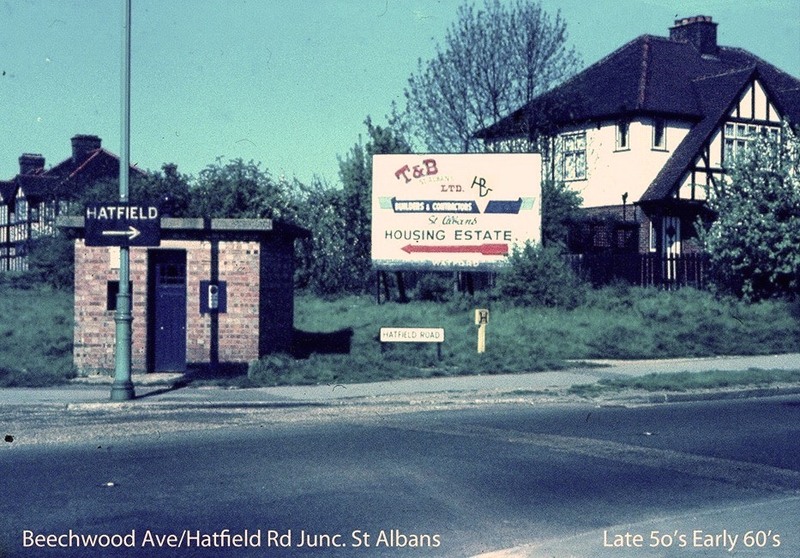 Today some of the land is still used for sports training, including St Albans Rugby Club. What travel arrangements were made for travelling between the school and the field. Were you employed by Ballito Hosiery Mills, Fleetville, when in 1966, the textile giant, Courtaulds, made a successful take-over bid for Ballito. We would like to hear from you, and what happened to your employment at the time. 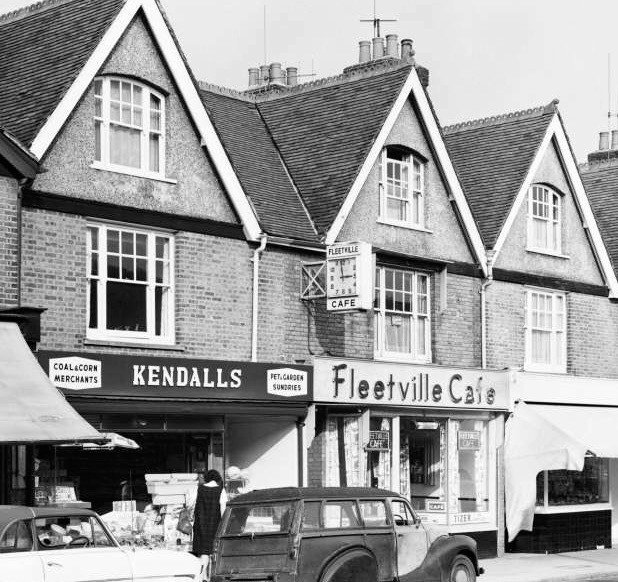 A visitor to this site is searching for two St Albans businesses which were trading in the 1960s. One made garage doors; the other manufactured immersion heaters for copper cylinders. Do you know of any firms which undertook these kinds of work. It is now confirmed that Sphere Works, Campfield Road did make garage doors, but what about the immersion heaters? 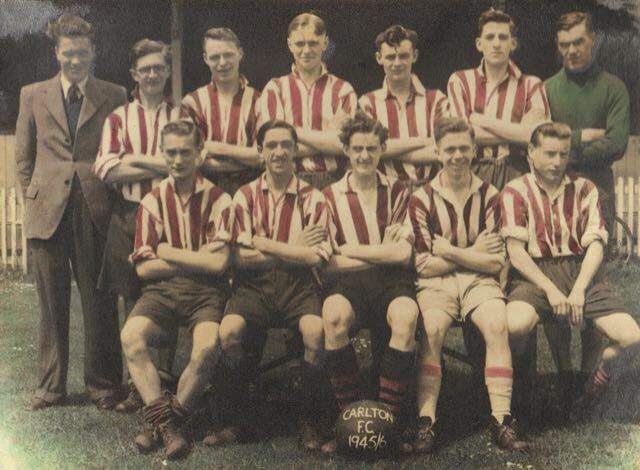 This amateur club took its members from around Burnham Road. Can anyone tell us why the name Carlton was used? The teams (for there was more than one) were based at Bishop's Store, 113 Hatfield Road. The owner, "Bish", ran a club for young people, called the Carlton Club. We would therefore also like to know more about who "Bish" was. Has any family retained a photograph of any of the former farm homestead in the district. 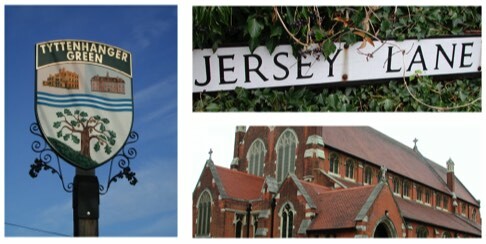 How about Marshalswick, Jersey, Beaumonts, Butterwick, Newgates or Popefield. If so, it would be great to share what these hives of agricultural activity once looked like. This road remained undeveloped for a quarter of a century as Wormleighton Road. As soon as houses began to appear the name changed to Gainsborough Avenue. Does anyone know why? Wormleighton is one of several alternatives titles for the Duke of Marlborough. Today there is little remaining evidence of the former factories of the ribbon works, and Janes & Green, who made portable buildings in Guildford Road; and the the Aircraft Brand mineral water, oil depot and Hedlea Works in Hedley Road. Not forgetting a branch works of Marconi Instruments which opened in Hedley Road in 1958. Do or did you know anyone who worked at one of these places? This is a tall order, but there may be, in someone's loft or archive, catalogues issued by local nurseries that no longer exist. There is even a slight chance of there being a colour catalogue, printed before 1916, by Smith's Printing Agency, Fleetville. This was the building which later became Ballito, on the present Morrison's site. There used to be a tea kiosk, a chalet building, a small brick building with a verandah. It was near the cricket pavilion in Clarence Park. It has long since been demolished, and not replaced by anything else. Many park users will recall buying drinks and ice creams there. Does anyone have a photograph which includes the chalet. The little gem of a picture above is the best we've received so far. 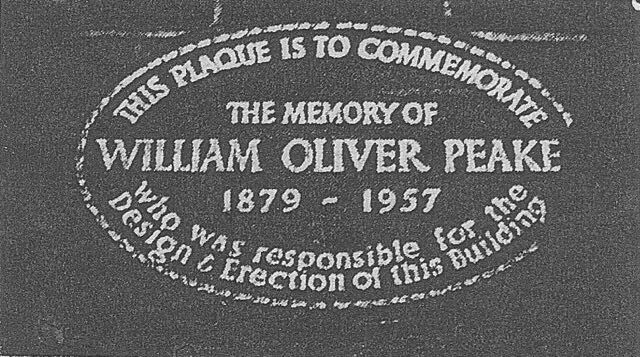 The W O Peake building in Hatfield Road was adorned with a plaque in 1958: "The memory of William Oliver Peake 1879 – 1957, who was responsible for the design and erection of this building." At the point when the building was later demolished, what happened to the plaque? A resident who grew up in Fleetville recalls attending St John's Preparatory School in Beaumont Avenue. St John's Lodge, formerly Avenue House, has now been replaced by the homes at St John's Court. The directories make no reference to this school either here, or where it later moved to Jennings Road. Does anyone else have a recollection of the school, knowledge of a uniform, or any documents such as reports, letters or photographs? 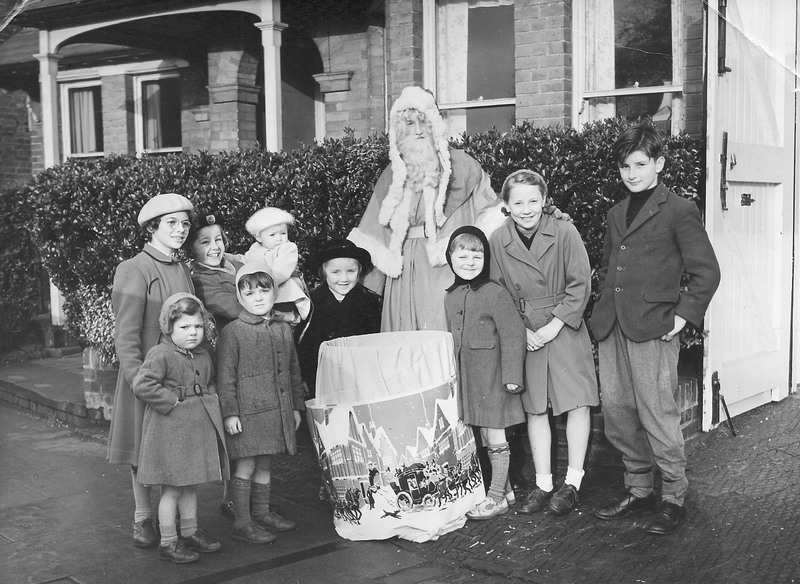 The photo shown above was taken in connection with a sponsored Christmas event in 1955. 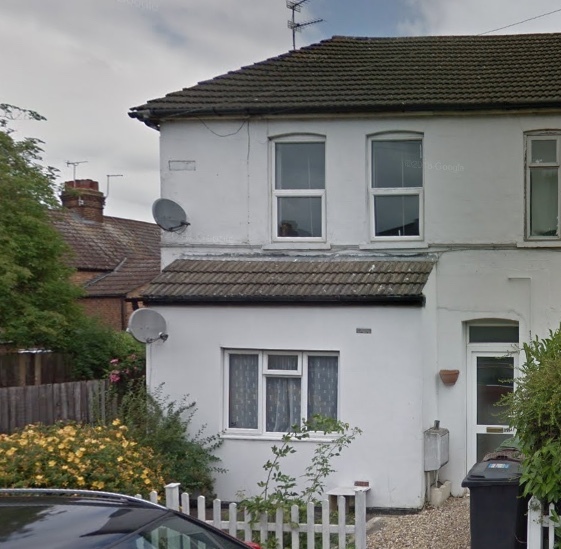 The location was outside 167 Hatfield Road, but the same group was also photographed in Blandford Road. We can recognise children from the Scotland family and Diana Devereux – oh, and Father Christmas of course. But generous as he is, the sponsor must have been someone else! This road is at the far end of Firwood Avenue. Was Merryfield a person's name, or a place to be happy? Any clues? Hertfordshire Archives record a WW2 position for the Home Guard at The Crown, with the Hotel as a headquarters, and fixed road blocks 100 yards into Stanhope Road, 80 yards east into Hatfield Road and an unspecified distance into Clarence Road. But nothing in Camp Road. Were you a child or teenager during WW2 and recall these road blocks? The blocks were probably removed before the end of 1944. The turnpike mile marker at Fleetville – in front of the recreation ground – was removed from its original position between two of the shops at Bycullah Terrace. It was apparently placed in storage. Where was it stored and for how long. When was the decision made to place it in its current location? 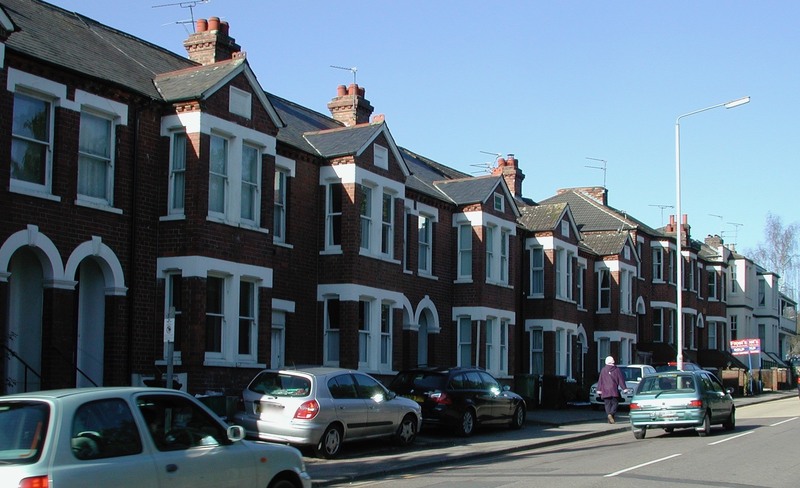 The above homes were built after the opening of Clarence Park in 1894. Others were built between Granville Road and the Crown and then demolished for the neo-georgian W O Peak factory (now also demolished). Are there any photographs of those early villas, presumably similar to the designs above. Or a photo of the formative Peake factory before transformation into its 1930s structure? Were you, or another member of your family, employed in one of the many small factories and workshops in the Fleetville or Camp areas? Or perhaps a member of your family actually set up a small company (including retail). Everyone seemed to know the multi-coloured picket fence where the organ theatre is now, next to Camp School. We are searching for good photographs of Charles Hart's children's roundabouts and other rides, preferably in use. It is entirely appropriate that a roundabout should appear in the One Hundred Objects which tell this district's story. A former headteacher of Fleetville and Oakwood schools, Peter Jenkins wrote a number of songs, subsequently published. Are there any early versions, or even recordings, still around? Perhaps recollections of learning and performing them? Mr Belcher took children from Fleetville School to Port Eynon, on the Gower, in June 1955. If you were in that group, please tell us all about your trip. The return journey was much delayed by a rail strike. In 1954, five hundred children from Camp, Fleetville and three other schools, enjoyed a visit, using several buses, to Windsor for a cruise on three launches along part of the Thames. Does anyone recall this trip, know who organised it, or who paid the costs? Or was the cost per child paid by the parents of the children on the trip? Searching for information on the early days of J W Vernon, printers at Fleetville from 1922. Are there any descendant members of the Vernon family. The firm opened in the former Institute owned by Smith's Printing Agency, and it appeared to pick up the baton, so to speak, after the closure of Smith's across the road. The Horseshoes nurseries were once called the New Zealand Nurseries. 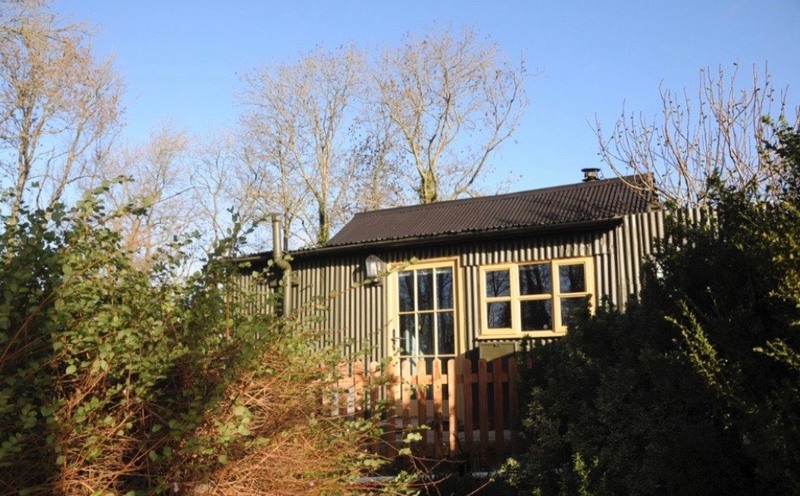 There was also a group of homes in Hatfield Road, Fleetville, with names such as Wairao, Auckland, Rimutaka and Waipira – all New Zealand North Island references. On the site of the former Fleetville branch library was a house, empty since 1936, called Waratah, apparently Australian in origin. Are all these name coincidentally groups in this district, or is there a common connection; perhaps one person who owned all of the properties mentioned. Now Nonno's Pizza the former Fleetville Cafe has been dispensing refreshment from the time the parade was built. A large rectangular public clock used to announce the name of the premises and give the time (erratically) to passers by. Do you know when the clock was first installed and when it was finally removed? In the early post-war years the city council had an arrangement with a bacon company elsewhere in the county, and 35 large pig food bins were left around for people to put their food waste in. The council stated it collected several tons each month. Does any one recall where any bins in Fleetville or Camp were located. In 1953 the design was changed to become conical to make emptying easier. The recollections wouldn't be very important, but it is likely that wherever there was a pig bin there would sometimes be locals engaging in conversations. If you were members of any of these groups, and especially if you can recall camping, social, entertainment or official district events, or have photographs, do please get in touch. Of course, these recollections extend to Cubs and Brownies, and later also to Beavers and Explorers! Cycling clubs were very popular in the 1920s and 30s. Did such a club base itself in Fleetville? A cafe called the Rendezvous (later Jack's Cave) opened in the 1930s near to where CAMRA is today. Its original name suggests a meeting place – perhaps for leisure cyclists? The St Albans-Duisburg Committee was formed in 1948 to provide much-needed relief, reconciliation and understanding between the young people of the two cities. The first children from Duisburg arrived here for short stays in 1949; exchange visits continued through to the 1970s. Did your family welcome a young person from Duisburg into your home. Did you visit and stay with a family. Have you recollections of these visits? Are you still in touch? 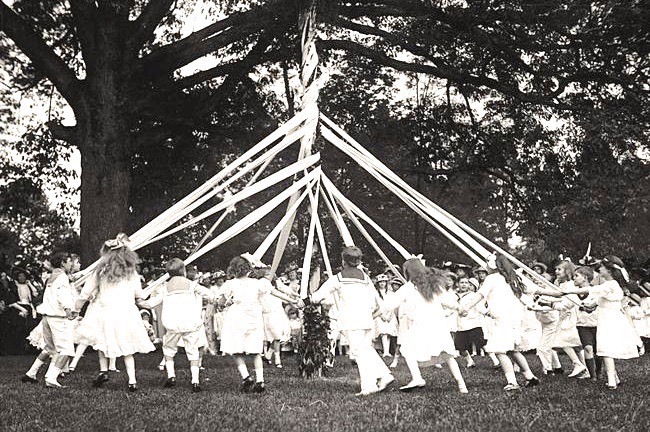 The author has a pre-war photograph of maypole dancing at an elementary school in Watford, and at Garden Fields School. Maypole dancing continued into the 1950s at Fleetville and Camp Schools, and possibly Colney Heath. Are there any such photos in family photo albums? 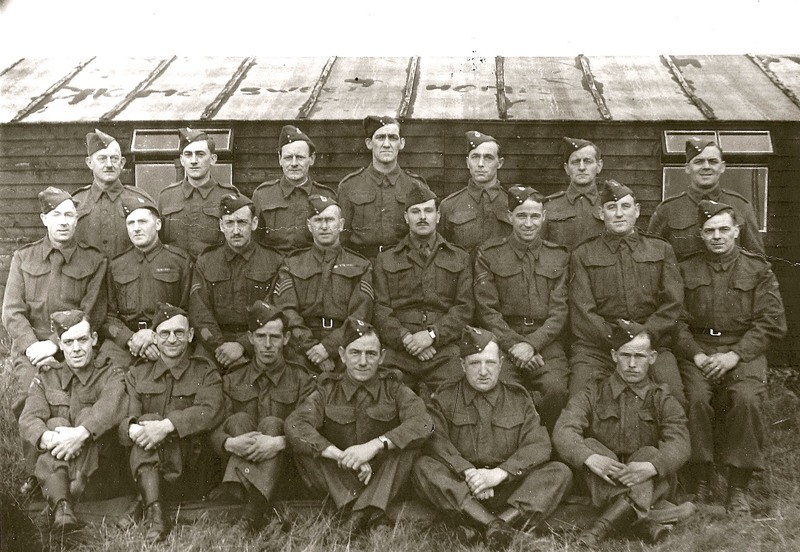 We would like to hear from anyone then living in the district, whose father or uncle or other family member, was called up for war service training in the first group in April 1939, or in the first tranche of National Service training in 1949. A site in Cell Barnes Lane, previously thought to have been an allotment ground, was adapted as a caravan site c1960. The intention was to return it to allotments eventually. Does anyone know how long the caravans remained there, and whether the ground WAS return to allotments? Or did the location actually refer to the Drakes Drive mobile home site now called Richard Stagg Close? Did your family move from Hornsey, Finchley, Hendon, Edmonton, Tottenham or Southgate in the 1950s to come and live in one of the new homes then being built on the London Road estate? 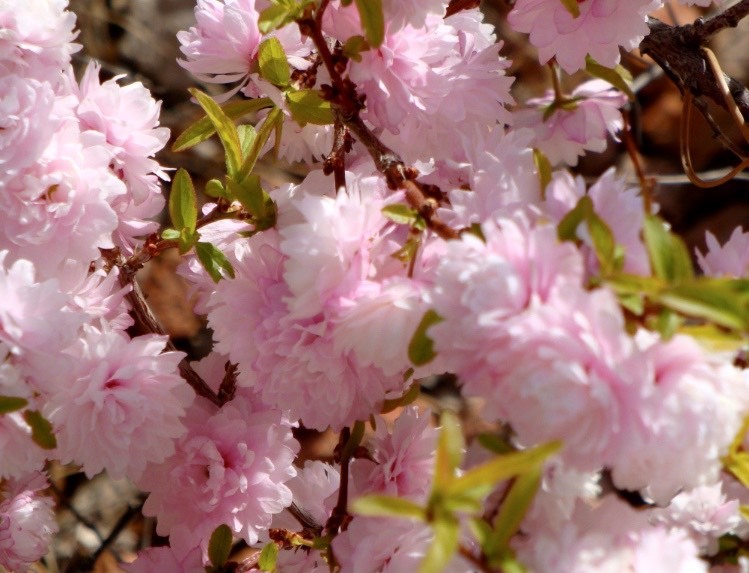 The residents' associate for the formative Marshalswick estate around The Ridgeway west, purchased a number of flowering almond trees for planting in the roadside verges during Festival of Britain year, 1951. Apparently 112 were acquired. Was there a significance to this number, or was its simply the number that could be accommodated along the roads which were planted? This was formed and led by Geoff Dickens from 1957, "to give the youth of the new estate somewhere to go." If you were an early member of MBC, please get in touch. There were meeting places at Marshalswick Boys' School and at St Mary's; and there were plans for a new-build youth centre, which regrettably did not materialise but was subsumed into the later Community Centre. 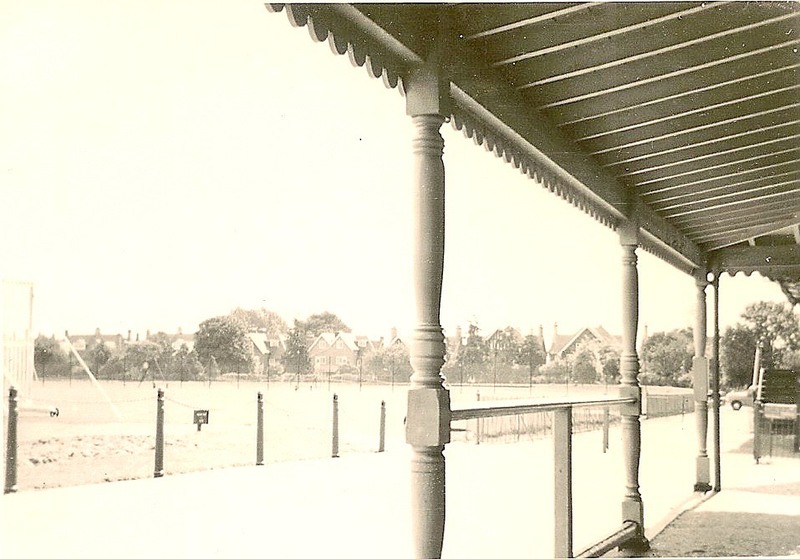 It appears that the Speedway track, between Notcutts Garden Centre and Popefield Farm, Hatfield Road, was also used as a greyhound track in the 1930s. Could this have been before conversion to speedway, or were the two activities operated concurrently? Programmes and advertisements survive for the Smallford Speedway and records from other Speedway clubs, of competing at Smallford. We have photos of two children, each wearing a different school uniform. 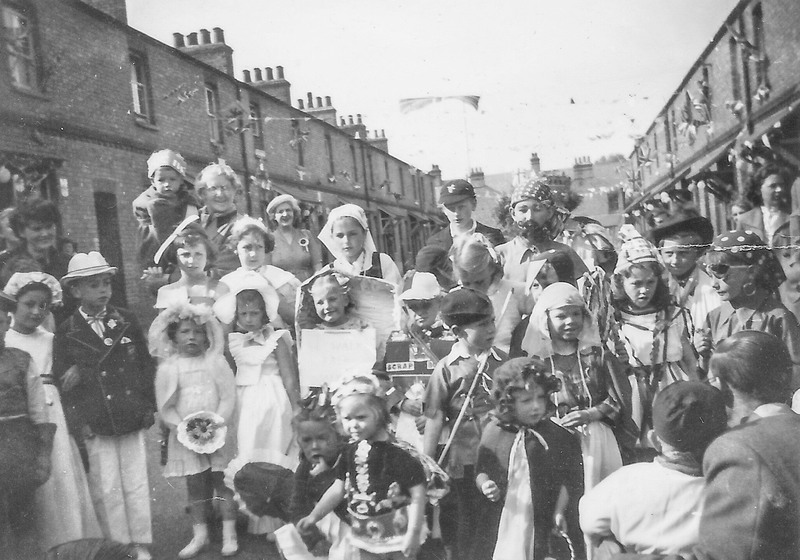 Probably taken in the 1930s, the children were included in a party visiting Ilfracombe from St Albans, and many would have homes in the Fleetville and Camp area. Can you identify the uniforms/badges? Football and cricket matches, informal family activities, sports days, Co-operators' Days, Scout Tattoos, fireworks displays and Billy Graham rallies. Even military training. They have all taken place at Clarence Park. If you have any event programmes or pictures, other information or memories, please get in touch. Now number 155 Camp Road the above house was once a general store and post office, first opened by Thomas Gear in the first decade of the 20th century. Mr G Trottman then took over. Are there any photographs of number 155 as a shop? Many streets held parties to celebrate major royal events, and of course end end of both world wars. If you were present at one, or your family helped to organise one – and especially if you have a photograph we would be pleased to hear from you. For a list of street parties look on the Topics > Wartime page. On the plot where Ss Alban & Stephen Infants School is (the school's original building) was a pleasure garden belonging to Friederick Sander, whose orchid nursery was on the opposite side of Camp Road – whither the junior school is today. Sander's house was on the north side, but as there was no space for the garden, this developed on the south side opposite. The garden was sold by the Sander family in 1932, but we have no information about its use as a garden, nor any photos – unless someone can help us out! Before the building of the London Road estate, Cell Barnes Lane was a country road from the end of the Springfield estate down to Hill End Lane. There was a tennis court on one side, opposite the shops, and the circus field where the Generals estate is. Did anyone, by any chance, take a photo of their special visit to the circus here? A small private school of that name was in Elm Drive from around 1933, but had closed by 1960. Details of its closing date would be useful. Former nearby residents, former pupils or maybe part-time teachers other than the principal Miss Kell, will have recollections we would enjoy hearing. We do know something about the uniform and have made contact with two former pupils. See also Questions answered. The city's police force replaced a number of timber police outstation, or remote, boxes, with brick-built ones in 1942, as in the photo above. They incorporated a public telephone, accessible via a little door (behind the green lamp post in this photo). Does anyone know where they were located, or have a photograph which includes an example of one? The illustrated example is on the corner of Hatfield Road and Beechwood Avenue, where the council flower bed is today. The above photo courtesy Philip Orde. A temporary domestic cottage similar to this was close to the old Beaumonts farm homestead until both were demolished in 1938. We have one photo of the farmhouse, but none of the iron cottage – so far! Woodvale Park, on the south side of Alban Way, Sutton Road, used to be a site for static caravans. It was taken over from its previous owner by St Albans District Council in 1977. But who had been its private owner before the council? Who was it that had left it without many basic facilities? Could is have been begun to house a number of employees of Marconi Instruments? Just a thought. 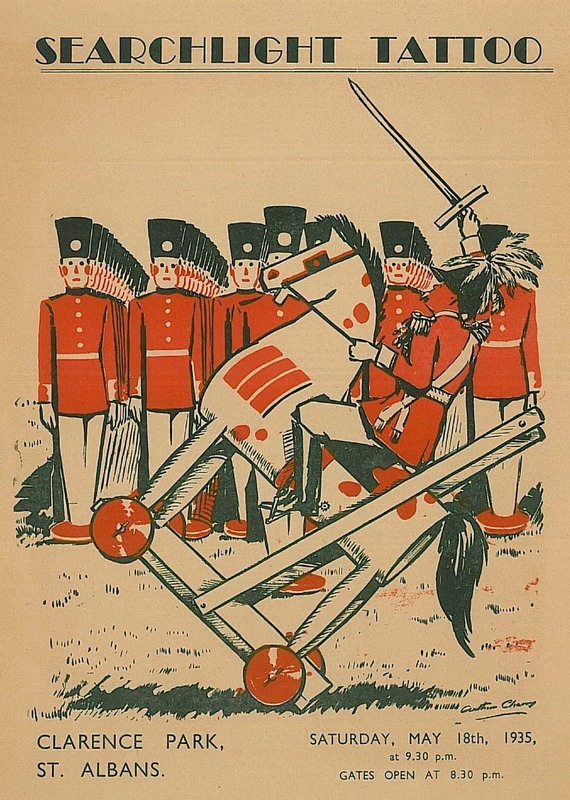 A Scout Group (the SA 12th Cell Barnes)) and Guide Group (the SA 15th Cell Barnes) are no longer extant. They were attached to Cell Barnes Hospital, which of course has also closed. We know that in 1950 a total of 51 Cubs, Scouts and Rovers camped in a field along Watford Bypass. We would like to discover more about these Scout and Guide groups. The key to wisdom is this – constant and frequent questioning; for by doubting we are led to question, and by questioning we arrive at the truth.